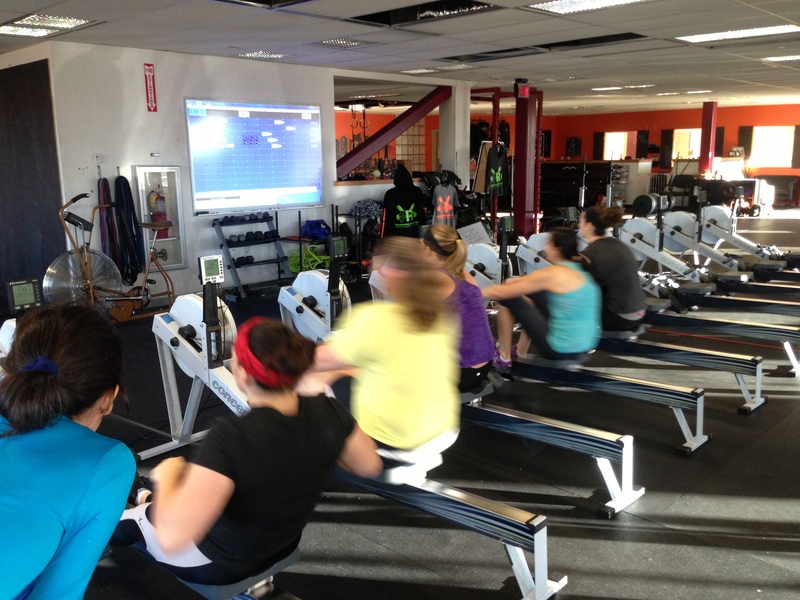 The Ladies getting after it at the Renegade Rowing League last year! Why in rowing do they take long breaks between rows ? 3 min breaks ? Good question David. It’s to ensure that the intensity and performance is as high as possible each piece. Rowing tends to build a lot of metabolic waste and playing around with recovery time can affect the results of the workout and training stimulus. It all depends on what you’re trying to get out of the workout and what your end goals are. In CrossFit it’s general physical preparedness, in rowing it’s a set distance as fast as possible. Both approaches work well, they’re just from different angles. I like rowing: it’s a new endeavor, so I’m not sure rowing and I like each other, but I am discovering it’s easy on knee & shoulder joints, it builds aerobic conditioning, and it requires mental toughness. Rowing being defined as the erg – never been on the water. Nice execution Ward! Love the mentality and can’t wait for you to try it on the water some day! Solid execution Mick! Definitely a good way to kick that hang over!